Dug Uyesaka’s quizzical outlook on life and love of the arts germinated while growing up in the 1950’s and 60’s in the fertile San Joaquin Valley. Living out in the boondocks provided many hours to roam the countryside and appreciate the slow side of life, fueling his passion to draw and make “stuff” from his imagination. Dug studied painting and silkscreen printing at UCSB and later, graphic design and multimedia at SBCC. After doing graphic design and media management for a local film production company, he became a working artist and involved in the community arts scene. Currently, he teaches art at Laguna Blanca School and is a Santa Barbara County Arts Commissioner for the Second District. Dug has been recognized with the Laguna Blanca School Faculty Excellence Award for the Middle School (2009), the William T. Colville Foundation grant (2009), and the Individual Artist Award for Assemblage and Collage from The Arts Fund of Santa Barbara (2010). His stunning, mid-career survey, long story short, took place at the Westmont Ridley-Tree Museum of Art in 2016. Empty prisons are eerie places where the walls do speak. Etched into the stones is the passing of successive generations of inmates. Photographer Brett Leigh Dicks demonstrates that every prison has its own history, character, and stories to tell and so too does every cell. But old prisons are not just a reminder of the past, they can also help guide the future. For the past five years the Santa Barbara-based, urban landscape photographer has been photographing closed jails, prisons and penitentiaries throughout Australia, Europe, and the United States – many of which have now been preserved as heritage sites. Last year Brett returned to his homeland where he undertook the first comprehensive photographic documentation of decommissioned Australian prisons and jails. Gaol, Fremantle Prison, J Ward Ararat, Maitland Gaol, Old Melbourne Gaol, Parramatta Correctional Center, Port Arthur Historic Site, Trial Bay Gaol and the Wilcannia Police Station. The subject matter ranges from the now empty silence of once bustling cellblocks and common areas to more abstract contemplations of the interaction between barred windows with the morning light and the poetic twisting of coils of barbed wire. Brett Leigh Dicks was born in Sydney, Australia and currently resides in Santa Barbara, California. Through fine black and white photography, he investigates the landscape and the tenuous ties it shares with human history. His work has been exhibited in Australia, Europe, and the United States and hung beside photographers as diverse as Ansel Adams, Jeff Bridges, Max Dupain, Lewis Morley, Yoko Ono and Hiroshi Sugimoto. He is currently a finalist in the 2018 Sony World Photography Awards. “Unseen and Unheard: Accidental Musings” evolves from Gebhart’s background in science and art history. Her organic compositions resonate with sumptuous textures and images, meandering line formations and color transparencies. 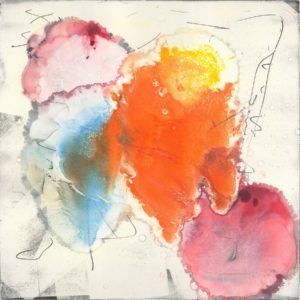 Each work on paper is a unique, one-of-a-kind viscosity monotype—a printmaking technique that lends itself to the creation of luminous effects, chaos, and turbulence. Over the last decade, the topography of the Southwest influenced her horizons, undulating lines and explosions of color. Educated first in the health professions, Gebhart then went on to learn art history and printmaking. After attending Immaculate Heart College, she earned a BA in Art History at the California State University in Los Angeles, followed by art classes in Santa Barbara and workshops in traditional etching techniques at Crown Point Press in San Francisco. She makes annual visits to Santa Fe to develop her skills in printmaking and is a Docent at the Santa Barbara Museum of Art. A constant watchman looking past what is seen but anticipating what is about to be revealed. The work cogitates the mise en scène of the street juxtaposed with the unscripted narratives of humanity. Charles Nègre was the first to bring the camera to the streets, specifically Paris France in 1851. 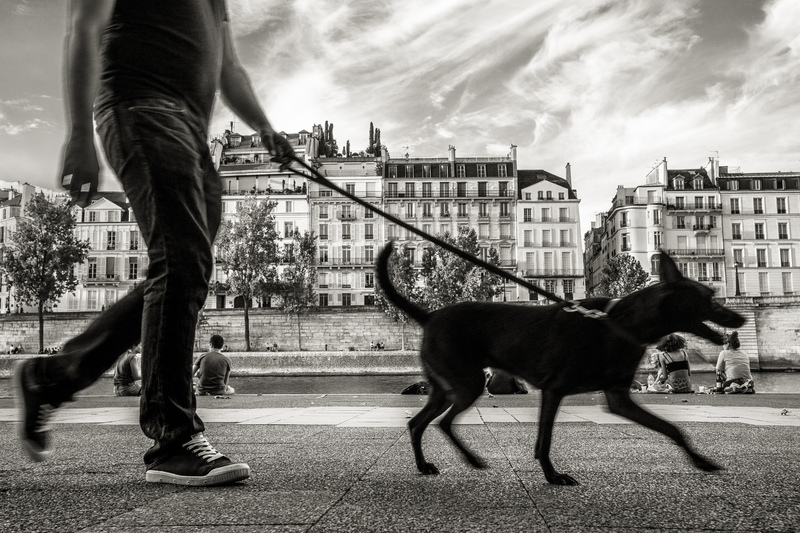 Following within the pure roots of tradition and unnoticed observations, Les rues de Paris focuses on the multitudes of independent humanistic narratives interacting within layers of time. The camera’s invasive and subjective nature begins within the frame and its ability to include or exclude. Its subjectivity ends there. Human interactions individually spontaneous and overlaid with time, allow true visual metaphors to be observed ever so briefly. 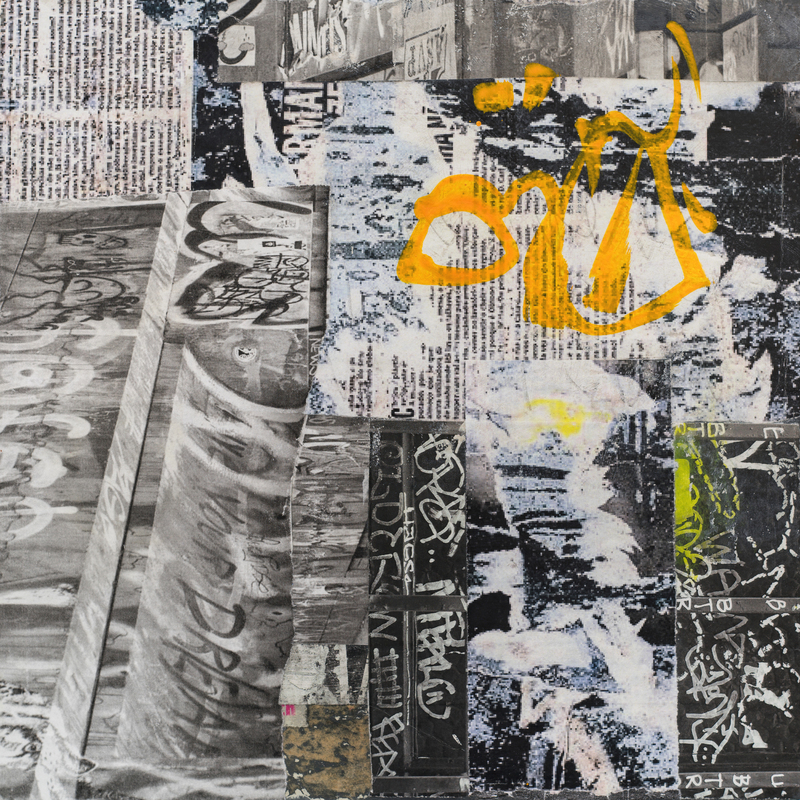 Industrial Strength connotes “extremely powerful, intense, durable, more concentrated than the standard brand.” In Garrett’s recent work, protests and prayers are woven into multiple layers of hand-painted papers. They also include stenciling, reduction techniques, and torn images from her archive, 30 years in the making, of street photography focused on chaotic urban environments. Demolished walls, raw graffiti, and gritty patterns all make their way into Industrial Strength. University in St Davids, PA. She has traveled and studied art across the country: oil and cold wax techniques in Wisconsin and Ghost Ranch, NM; encaustics and monotype printing in Santa Fe, NM; and painting at The Art Institute of Chicago, thanks to a merit scholarship. Garrett is represented by galleries in Vail and Santa Barbara and has collectors across the country. She paints full-time and teaches workshops in Santa Barbara, CA. For more information please visit www.mgarrettstudio.com. 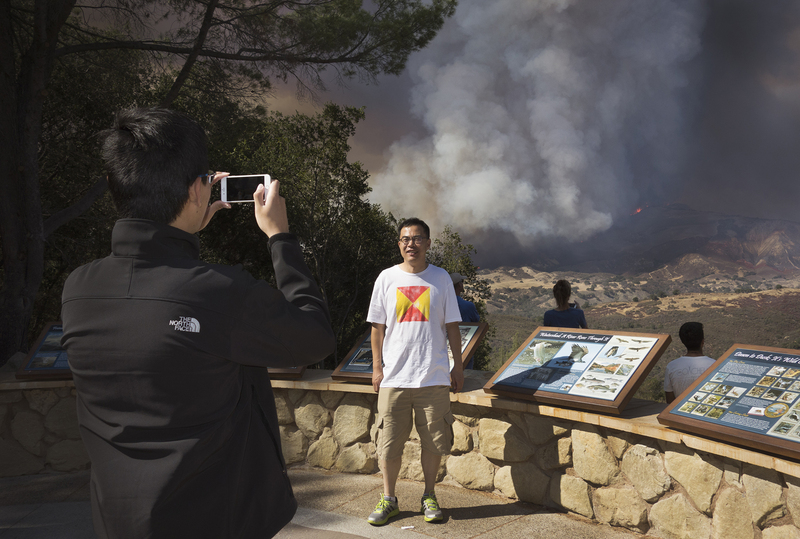 The Architectural Foundation of Santa Barbara is pleased to present Observed / Observer: Photographs by Matthew Straka. Observed / Observer is a collection of photographs concentrating on California land use and the relationships of individuals with the environment. Straka documents mundane and sublime aspects of the landscape, with a special focus on abandoned and industrial subjects. With the advance of smart phones, he has become intrigued by how ordinary people, situated in everyday surroundings, create unique tableaux and document it using their mobile devices. Matthew Straka is a Santa Barbara native. During the past twenty-six years he has worked as a photojournalist, a commercial photography assistant, and chiefly as a color lab technician. He studied photography at the Art Institute of Fort Lauderdale and journalism at Santa Barbara City College. His photographs have been exhibited in various solo and group exhibitions throughout California including: Celestial Bodies, The Essential Worker, Pilgrimage and Notable Rejects. 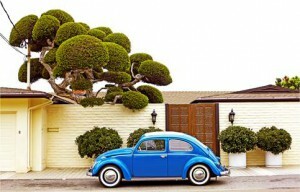 He currently works at Grace Design Associates, a landscape design company in Santa Barbara. Artist Demonstrations/Conversations on Saturdays: July 1, 8, 29, and August 5 from 1:00 to 4:00 pm. Visitors of all ages are invited to stop by for demonstrations and conversations about Art, Architecture, and Beyond. 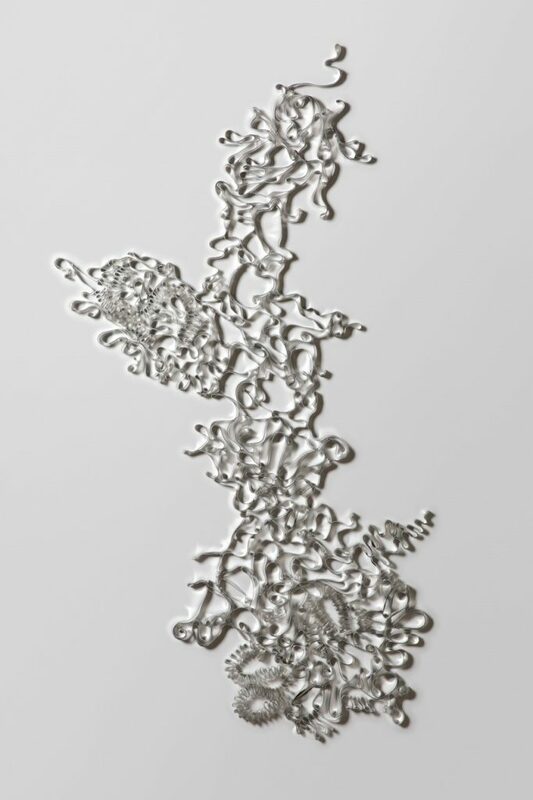 The Architectural Foundation of Santa Barbara is pleased to announce a new solo exhibition: Stretch: Wall Sculpture and Paintings by Barbara Flanagan. The exhibition consists of innovative wall sculptures made with industrial aluminum and colorful paintings formed with synthetic liquids. “Stretch” refers to the uncanny malleability of Flanagan’s various materials and to her unique experiments, which are designed to provoke neural surprises, both tactile and visual, while evoking a range of feelings. Festoons, Flanagan’s aluminum wall sculptures, have their beginnings at a New England mill that custom rolls and slices aluminum into strips—typically, for a minimum order of 13,500 linear feet. Based on her prototypes, metallurgists at the mill provide technical assistance on alloys, temper, gauge, edge, and finish. More mercurial are Flanagan’s painting projects made with synthetic coatings of many colors, transformed by casting, pouring, and curing, then playfully layered into intriguing compositions that challenge the formalities of traditional paintings and archival paint formulas. Flanagan holds a Masters of Architecture from Yale University, a B.A. from the University of Pennsylvania, and a Certificat in sculpture from ENSAD (École Nationale Supérieure des Arts Décoratifs, in Paris). For over thirty years, she has worked as an independent writer and product designer while making her own art. After her early years as an architectural designer in San Francisco and L.A., Flanagan was invited to write about design and architecture for The New York Times and Metropolis Magazine. She has contributed to a dozen national publications and published two books on design. Since 2002, Flanagan has designed products for the MoMA’s Design Store (NYC). For more information, please see: barbaraflanagan.com and freshpaintart.com. The Architectural Foundation of Santa Barbara is pleased to present “It’s About Time: A Kinetic Installation on the Illusive Nature of Time” by conceptual artist R.T. Livingston. A participatory Opening Reception is planned for Friday, May 12 from 5 to 7 pm. All are welcome…and, everyone is invited to wear a watch with hands—in order to compare time’s uneven path! The installation, It’s About Time, is a visual metaphor demonstrating how our perception of time, with its accordion-like expansion and contraction, is constantly changing while systematically going around in circles. Livingston observes that: “The notion of time begins in our guts then moves to our heads before entering the space of our lives.” Like the earth spinning every 24 hours in its yearly rotation around the sun, a clock with hands follows the earth’s movement as it makes its rounds. Earth and clock move in sync giving us a poetic connection to the cosmos and the space-time continuum where notions of time travel, memory and déjà vu boggle the mind. Together with video and sound, It’s About Time consists of some eighty 4” x 4” battery-powered clocks with the words ‘time is a man made Illusion’ handwritten on each. Several layers of iridescent paint partially obscure the writing, which creates movement through the play of light. The uniformity of the square clocks creates a structural matrix in which each clock runs at its own pace, not unlike the movement of our own lives. R.T. Livingston studied painting with Elizabeth Murray in the Fine Arts Department of Daemon College in Buffalo, New York. Graduate work in the History of Photography took her to Princeton where she studied with Peter Bunnell. While working on a Ph.D. in Art History at Rutgers University, she joined the curatorial staff at the University’s Zimmerli Art Museum. In New York, Livingston sat on the Boards of Franklin Furnace and was a charter member of the Brooklyn Academy of Music’s Next Wave Festival Producers’ Council. In 2003, after 30 years living and working between studios in Lower Manhattan, Springs-East Hampton and Woodstock, New York, Livingston was commissioned to create several large outdoor installations in California. Additional projects brought her back and in 2006 she moved to Santa Barbara where she continues to spin ideas and make art. 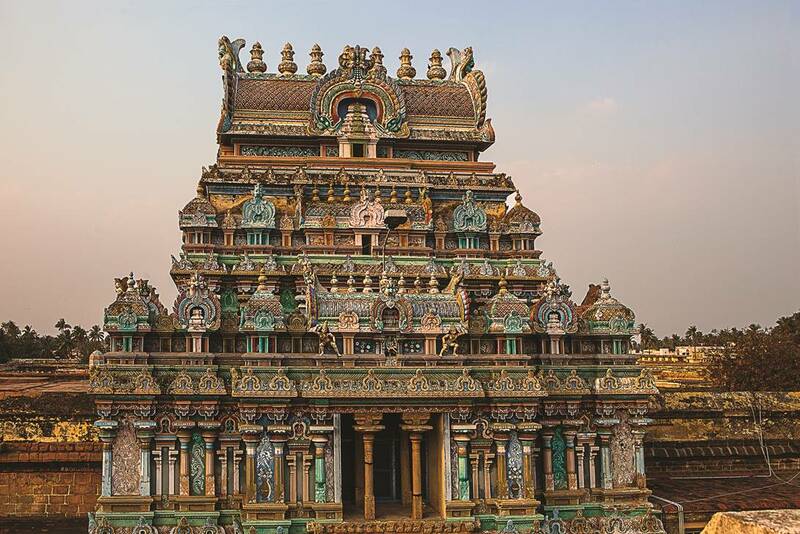 The Architectural Foundation of Santa Barbara is pleased to announce a new exhibition of photographs by Sylvia Abualy: Cultural Influences of the Architecture of India. An Opening Reception will take place on Saturday, April 1 from 3 to 6 pm. All are welcome. The exhibition continues through May 5, 2017. For over 25 years Sylvia Abualy has combined her passion for photography and travel into a prolific career as a travel photographer. She has photographed on five continents with a focus on people and their cultures. India became a favorite destination and the architecture there—the science, design, composition, color and building materials used through the centuries—emerged as her dominant interest. As she edited and researched the subjects of her numerous photographs, the styles, architects, and especially the people stood out as foci. Her vibrant photographs encourage viewers to savor gorgeous images of Indian architecture, to contemplate the complex history and culture of these places, and to appreciate the people who live there. Abualy started her photographic career using film but evolved to digital, using a Canon EOS 5D Mark 2. She does all of her own printing on an Epson P800, skillfully combining her artistic eye and expertise in the digital realm to create unforgettable prints. Inspired by the words of Ansel Adams “The negative is the equivalent of the composer’s score, and the print is the performance,” she believes that in today’s world, a digital image is the equivalent of a negative. The Architectural Foundation of Santa Barbara is pleased to announce a new exhibition, Into Nothing: New Paintings in Ash and Oil by Tom Pazderka. An opening reception with the artist and refreshments will be held on Friday, February 17th from 5 – 7pm. All are welcome. The exhibition will continue through Thursday, March 23. Into Nothing is a momentary foray into the darker side. The darker side is to be understood not as something necessarily evil for its own sake, but ‘the’ something as an obverse of light. In the truest sense of the nature of humans and nature itself, one cannot have light without the dark, positive without its negative aspects. The potential in fire as the ultimate destructive force hides within it its polar opposite – that of the regenerative potential of what is left behind. In creating a void, fire nonetheless immediately fills the space upon which it acted. As Gaston Bachelard observed, “It shines in Paradise. It burns in Hell.” Fire is therefore ‘the’ conflicting force about which, to this day, we know very little. It is both good and evil. 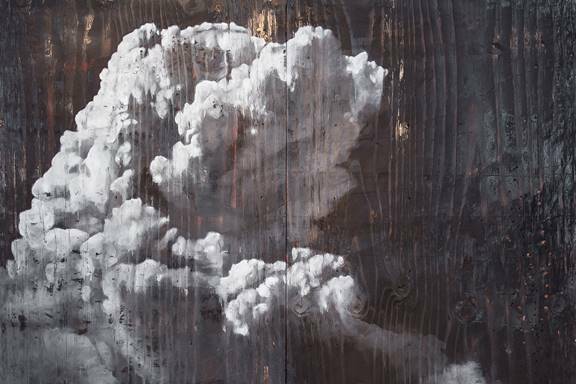 Pazderka negotiates the subject of fire via depictions of local wildfire smoke, clouds and portraits of in/famous philosophers, artists and cabin dwellers, painted and drawn into burned wooden substrates treated with ashes and charcoal. Ghostly images emerge, subtle and soft, yet quietly disturbing at the same time. Tom Pazderka is an interdisciplinary installation artist, painter, sculptor, teacher and writer. He holds an MFA from the University of California Santa Barbara where he was a Regents Fellow and is currently the Artist in Residence for the 2016/2017 academic year. He is a lecturer of art at Allan Hancock College in Santa Maria, CA. Half Czech and half American, the son of working class immigrants, he moved to the US at the age of 12 shortly after the collapse of the Eastern Bloc. His works have been exhibited at UCSB’s AD&A Museum, Asheville Art Museum and Cameron Art Museum in NC, Parasol Projects, NYC, Trafo Gallery in Prague, and Pink Dog Creative and the Push Gallery in Asheville, NC. The recipient of numerous awards including the Howard Fenton Award for Painting, residencies, his works have been reviewed and profiled in many publications including New American Paintings and Daily Serving. 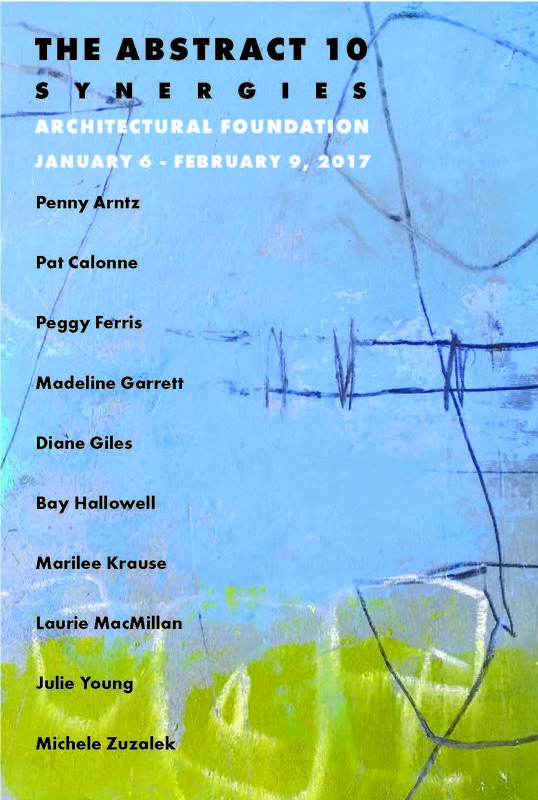 Opening Reception Friday, January 6, 5-7 p.m. The Architectural Foundation of Santa Barbara is pleased to announce the exhibition of The Abstract10: Synergies, a group exhibition of ten women artists who live and work in Santa Barbara, CA. An opening reception with the artists and refreshments will be held on Friday, January 6 from 5 – 7 pm. All are welcome. The exhibition will continue through Saturday, February 11. The Abstract10 group has been meeting monthly since 2010 to cultivate their work as contemporary abstract artists. The meetings are structured with art-related news, critiques, and support in developing new work. With diverse backgrounds, inspirations, styles, and mediums, these artists offer a view of the synergy engendered by the group gathering together on a regular basis and interacting through the common bond of abstract art. Members of the group are Penny Arntz, Pat Calonne, Peggy Ferris, Madeline Garrett, Diane Giles, Bay Hallowell, Marilee Krause, Laurie McMillan, Julie Young, and Michelle Zuzalek. These ten artists have backgrounds in graphic design, business, teaching, art museums, and psychotherapy. 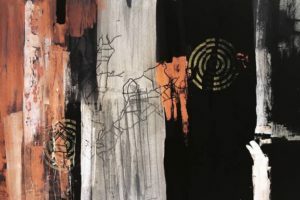 Using a variety of techniques and mediums, their abstract art is inspired by nature, architecture, the figure, the subconscious, memory, gesture, and geometry. Opening Reception: Friday, November 4, 5-7 p.m. 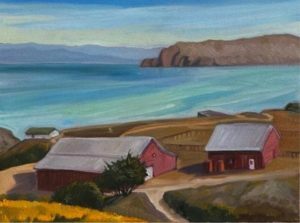 The Architectural Foundation of Santa Barbara is pleased to announce a new exhibition: Rob Robinson – Landscapes in Oil – California and Europe. An opening reception with the artist will take place on Friday, November 4th from 5:00 to 7:00 p.m. All are welcome. The exhibition will continue through December 7th. A Santa Barbara native, Rob Robinson is the grandson of the late Mildred Bryant Brooks (prominent etcher of the early 1900’s) and son of the late charismatic and respected Santa Barbara architect, Frank Robinson. 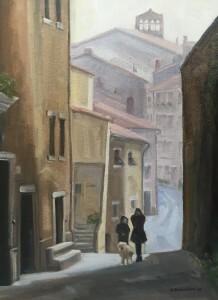 Rob’s inspiration to paint is rooted in his desire to create something of lasting value and while doing so, to find a little peace in the hustle-bustle of everyday life: “Painting is an engrossing experience for me, a chance to quietly observe and disappear into the natural world, to be alive in it and return with something to share”. 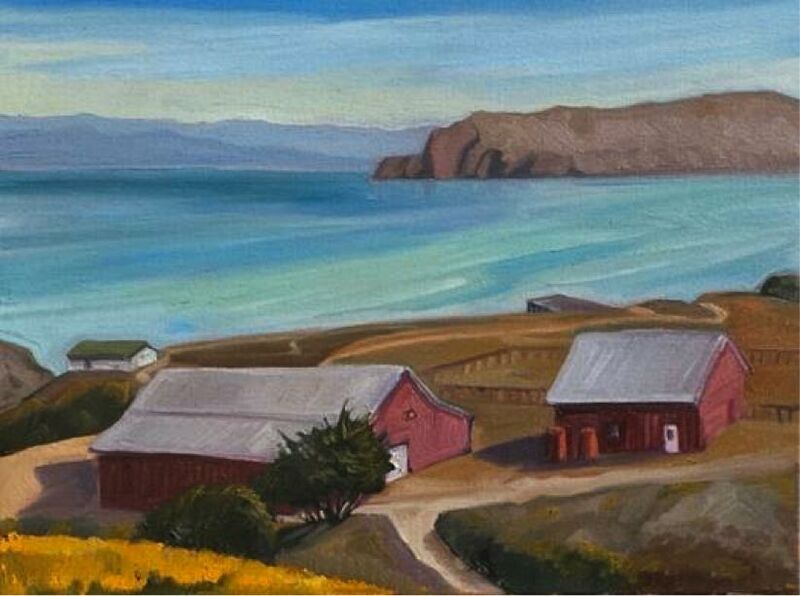 Rob has painted oil landscapes for 18 years and is a long time member of Santa Barbara Studio Artists, Santa Barbara Art Association, California Art Club, and Oil Painters of America. A frequent guest artist with the Oak Group, he credits Michael Drury, Hank Pitcher, John Comer, Marcia Burtt, Meredith and Whitney Abbott, Jorgen Hansen, Ray Strong, Ray Roberts, Frank Serrano, the Oak Group and many others for his inspiration, learning and success. Rob lives in Santa Barbara with his wife Allison and their cat Remo. For more information, visit http://www.robrobinsonart.com. Opening Reception: Friday, September 23, 5-7 p.m. The Architectural Foundation of Santa Barbara is pleased to announce a new exhibition, Marilyn Helsenrott Hochhauser: Paper Constructions. An opening reception with the artist will take place on Friday, September 23 from 5:00 to 7:00 p.m. All are welcome. The exhibition will continue through Friday, October 28. Inspired by travels in Japan during which she explored Japanese aesthetics and ancient Japanese papermaking traditions (Washi) with “National Treasure” Minoru Figimori, Hochhauser manipulates wet mulberry pulp to create three-dimensional, abstract forms. Once the forms are dry, she combines them by sewing and pinning, draws on them with charcoal, pencil, and pastels, and adds found objects. These unique, contemporary paper constructions will be celebrated by a special delegation from Santa Barbara’s Japanese sister city, Toba, during their upcoming visit this Fall. Marilyn Helsenrott Hochhauser earned a B.A. in art education and a M.A. in painting at Long Island University in Glendale, NY. Her paintings, sculpture, photographs, assemblages, and installations have been shown in numerous solo and group exhibitions in Santa Barbara and throughout California, as well as in New York, New Jersey, Maryland, Virginia, Australia and Canada. For more information, visit www.arthochhauser.com. For appointments, contact Marilyn Helsenrott Hochhauser at 805-964-5102. The Architectural Foundation of Santa Barbara is delighted to announce a new exhibition, Near & Dear: Pastel Paintings by Sarah Carr. An opening reception with the artist will take place on Friday, August 12 from 5 to 7 pm. All are welcome. The exhibition will continue through Friday, September 15 (noon). Near & Dear features recent pastel paintings by award-winning Santa Barbara artist, Sarah Carr. Her brightly hued images express her abiding love of landscape, particularly the Central Coast. Some favorite spots include the Douglas Family Preserve/Wilcox Property, Devereux Slough, Lake Los Carneros, Carpinteria Salt Flats, Naples and More Mesa and incorporate intimate details of wild grasses, trees, thickets, fields, marshes and water. Inspired by Impressionist and Post-Impressionist painting techniques, Carr uses washes and pastel on sanded paper to create light, color vibrations, and movement. Sarah Carr graduated from UCSB with a BA in Studio Art and earned a secondary teaching credential in art and a Masters in Art Education from the Rhode Island School of Design while on sabbatical from Dos Pueblos H. S. and Goleta Valley Jr. H. S. where she taught from 1968 to 2003. She has participated in solo and group shows in Santa Barbara and upstate New York, both juried and invitational. 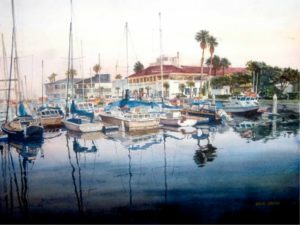 She is a member of Southern California Artists Painting for the Environment, Santa Barbara Art Association, Goleta Valley Art Association, Mesa Artists Studio Tour and a long-time committee member of The Student Art Fund. Opening Reception Friday, July 1, 5-7 p.m. The Architectural Foundation of Santa Barbara is pleased to announce a new exhibition, Breathing Space: Recent Prints by Bay Hallowell. An opening reception with the artist, music by the Jaybirds String Band and refreshments will be held on Friday, July 1 from 5 – 7 pm. All are welcome. The exhibition will continue through Friday, August 5 (noon). The phrase Breathing Space connotes a physical environment, a state of mind, a moment in time, as well as the act of breathing. Hallowell explores intersections of these meanings in vibrant, multi-layered monoprints created with oil-based inks on Arches 88 and BFK Rives paper using stencil and viscosity techniques. Lush gardens, architectural elements, the experience of breathing and of meditating, and a sense of both inner and outer space are all subtly invoked in this diverse series of unique, light-suffused prints. Hallowell received a B. A. in painting and drawing at Bennington College (VT) where she also studied art criticism. After working as a museum educator/curator at the Carnegie Museum of Art (Pittsburgh) and the Philadelphia Museum of Art and teaching at the Tyler School of Art (Temple University), she studied printmaking in Santa Barbara with Siu and Don Zimmerman, Elaine LeVasseur, and Michael McCabe. She is a member of the LA Printmaking Society, the Santa Barbara Printmakers, and the Inkspots of Ventura. AIGA Santa Barbara, the Central Coast’s professional design association, will exhibit its members most compelling and significant professional graphic design work at the Architectural Foundation of Santa Barbara’s (AFSB) Acheson House Gallery from May 20 – June 23. The showcase, titled “The Designer Behind the Design”, aims to highlight the talent in the Santa Barbara community and to share their story and creative statements about their professional designs. – Patty Devlin-Driskel, Board Member of AIGA Santa Barbara and show organizer. The Architectural Foundation of Santa Barbara is pleased to announce a new exhibition of prints by Meagan Stirling titled Crack Shot. An opening reception with the artist will be held on Friday, April 8 from 5-7 pm and all are welcome. The exhibition will continue through May 13. Fascinated and inspired by American culture and the theme of safety, Stirling creates one-of-a kind prints using an amalgam of printmaking techniques including monotype, lithography, and serigraphy. Her compelling compositions, infused with echoes of pain and grief, layer and blend imagery derived from wind energy turbines, shooting range targets, and her memories. 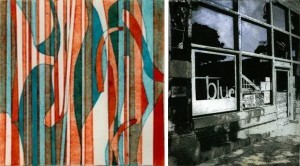 Stirling received her MFA in Printmaking from the University of Wisconsin in Madison. She has taught art at Whitworth University, the Beijing International College, and the University of Colorado Denver. Currently, Stirling is Assistant Professor of Art at Westmont College. For more information, please visit meaganstirling.com. The Architectural Foundation of Santa Barbara is proud to announce a new exhibition of pen and ink images by architect Obie G. Bowman titled Selected Drawings. The public is invited to attend an opening reception for the artist on Friday, February 26 from 5-7 pm. Refreshments will be served. The show will continue through April 1. The 22 drawings exhibited have been selected from three of Obie’s on-going series of work: Vernacular Architecture drawings are made from the landscape, celebrating bygone construction, and often contrasting old and new. Biomorphic Images are based upon his inherent affinity for with the rhythms of nature and the organic forms that result. These drawings begin with at least the germ of a compositional idea and develop from there ̶ often evolving and taking on their own growth pattern as the work proceeds. With and Without Memory alludes to primeval DNA, thoughts of coexistence with fellow life forms, and the notion that, except for the luck of the draw, you and I could easily have been them or it. Obie G. Bowman, FAIA is an acclaimed architect and talented artist. Born in Santa Monica, he currently resides in the Dry Creek Valley near Healdsburg. 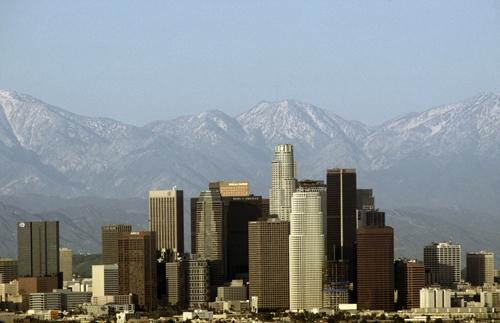 He attended USC, UC Berkeley, and Arizona State Universities and received a Bachelor of Architecture degree. After apprenticing with Los Angeles architects from 1967 to 1971, he moved to the Mendocino Coast to start his own studio and as his practice grew he opened offices at The Sea Ranch (1973) and in the Dry Creek Valley in Sonoma County (1994). Obie was inducted into the American Institute of Architects College of Fellows in 2008. “Street Scene Daydream” is a solo exhibition presented by photographer Jen Zahigian. The show will run January 15 – February 18, 2016, Opening Reception will be on Friday, January 15th from 5-7 pm. 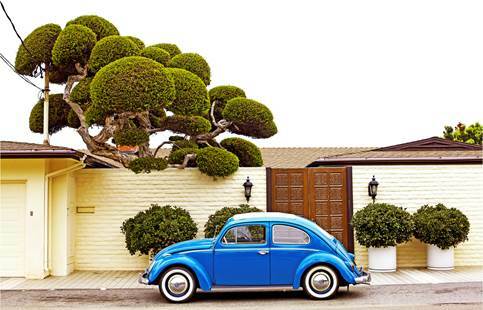 Jen Zahigian’s photographs have become synonymous with California style, and the colorfully idealized visions cherished by residents and visitors alike. She is known for using color to take ordinary scenes beyond our everyday view. Jen’s personal history informs her work, as does the mid-twentieth century history of roadside attractions. Many of Zahigian’s photographs depict California highway establishments and their signage, revealing an appreciation for their dated aesthetic and patina of rust and neglect. Jen Zahigian’s camera searches for and selects meaning from historical roadside monuments – monuments of travel, transience, and movement. More than twenty photographs will be on exhibition, drawing from a body of work spanning seven years. With “Street Scene Daydream” Zahigian’s lens captures worn-out, offbeat and forgotten corners from California to Detroit with both a quiet watchfulness and the “dreamy, sunny, colorful” expression for which she’s gained recognition. Zahigian held her first solo exhibition in 2007, and has participated in solo and group exhibitions each year since. Her work has been featured in a variety of publications including The Sun and NBC New York’s “Roadside America in Pictures.” Several of her photographs can be found in galleries across the state, including SFMOMA Artists Gallery, SLATE Contemporary in Oakland, Wallspace in Los Angeles, and in private collections internationally. Jen Zahigian is a graduate of UC Berkeley, and co-founder of Able and Baker, Inc., a design + build cabinetry, furniture, and millwork fabrication studio based in Ventura. “Urban Space: The Parks of Santa Barbara” is a solo exhibition presented by local artist Nina Warner. 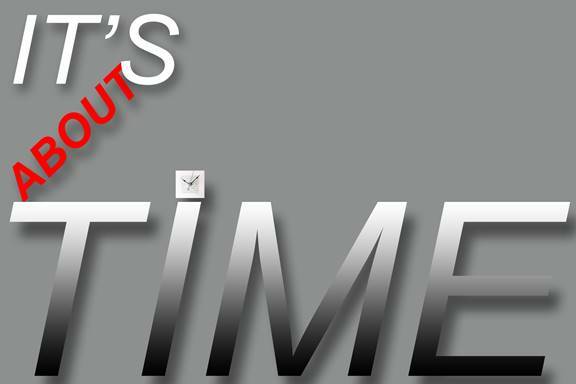 The show will run from October 16 through November 20, 2015, with an opening reception on Friday, October 16 from 5-7 pm. The exhibition will also be open for ‘First Thursday’ on November 5, from 5-8 pm. Over 60 small oil paintings represent a 3-year project of painting every public park in Santa Barbara (excluding sports fields) within a geographical area that stretched from Montecito to Hwy. 154. The bounty of parks and open spaces in Santa Barbara are truly special – every neighborhood has something to offer. The fresh immediacy of painting on site creates a unique snap-shot of each location. Traveling light, the artist used a 6”x8” portable painting ‘thumb box’ and worked with a palette of 6 basic colors. Nina Warner received her MFA from UCSB and her BA from the College of Creative Studies, UCSB. She recently retired from 25 years of teaching as Associate Professor in the Art Department at SBCC, where she taught drawing, design, and painting. She served as Department Chair for 5 years and co-led 3 Study Abroad Programs to Italy and Russia. She has been actively involved in the arts community of Santa Barbara for many years and is a member of the Santa Barbara Printmakers and SCAPE. She has exhibited her work both locally and throughout the U.S. The Architectural Foundation of Santa Barbara is pleased to announce a new joint exhibition by Don and Siu Zimmerman, entitled Then and Now. An opening reception with the artists will be held on September 4 from 5-7pm. The show will continue through October 9th. Each artist has developed a unique style, ranging from abstract to figurative, and draws upon a variety of printmaking techniques — monotypes, collagraphs, polymer etchings, digital modification, or chine collé. This exhibition features both current and past work. Siu will exhibit three different series of prints; one combines etchings and collagraphs with chine collé in evocative compositions; in another she combines Chinese calligraphy with her own abstract markings and a third consists of abstract monotypes created by viscosity printing. The actual process of making visual art is what most speaks to Siu. 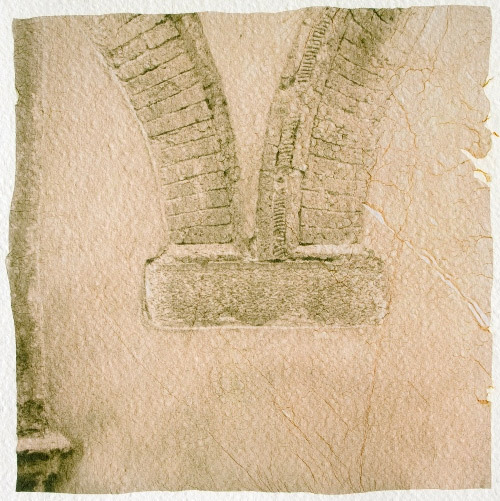 This process is often a gradual journey from an idea or theme discovered in her sketchbook that achieves full expression through various printmaking techniques. This process happens again when the thought, “What if I did this another way?” evolves to, “Yes, warm and cool colors are better than black and white for this project.” Things are moving along well when a trial-print image stares back and it says, “I would look better with a top-roll in yellow!” Siu skillfully employs a variety of printmaking techniques to produce a rich and varied body of work. Don photographs everyday scenes that he finds intriguing and that offer elements that he can modify through digital editing and polymer etching into images that tell a story or evoke a mood lurking in the compositions he initially captured in the camera. He digitally manipulates his original photographs to produce new, related compositions of contrasting textures, lines and values. Then he makes etching plates of these compositions and prints them over his digital images, enhancing their qualities and impact. This unique combination of photography, digital modifications, and polymer etching results in striking images that also provoke curiosity—how did the artist make them? Siu is well known to many as the inspiring teacher of the Art and Craft of Printmaking classes at Santa Barbara City College’s Center for Lifelong Learning after teaching watercolor and printmaking at Westmont College for 15 years. 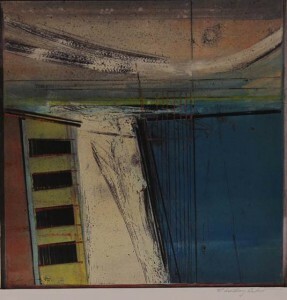 Don became a printmaker after teaching in the Sociology Department at UCSB for forty years. Together, Siu and Don have taught and nurtured many of the enthusiastic printmakers currently living and working in Santa Barbara and the region. The Architectural Foundation of Santa Barbara is pleased to announce a new solo exhibition by Lori Wolf Grillias, entitled “Emerging Pareidolia.” All are welcome to attend a festive opening reception with the artist on Friday, July 17 from 5 to 7 pm. The show will continue through August 28. Artist Lori Wolf Grillias returns to AFSB following a successful solo show in 2011. Using a variety of mediums, she paints with watercolor and acrylic, and draws using charcoal, graphite, caran d’ache crayons and watercolor pencil on paper and board. Continuing her exploration of imaginary worlds constructed from familiar and mysterious elements, she creates a realm that exists in its own time and place. Flora and fauna appear with enigmatic figurative references amidst densely woven compositions of brilliant colors, shapes and forms. After attending the Otis Art Institute in 1981, Lori Wolf Grillias earned a BFA from USC in 1985. She has received numerous awards, and has shown her work at the San Luis Obispo Museum of Art, SBCC Atkinson Gallery, Irvine Art Center, Laguna Art Museum, and Barnsdall Art Park. Since 1995 she has been providing visual arts instruction for the Children’s Creative Project, and she is currently Visual Arts Instructor at the San Luis Obispo Art Center. Warner and Judy Nienow’s new exhibition, “Wet World: How Rain Affects Architectural Impressions,” will be shown at the Architectural Foundation Gallery from April 15 to May 29, 2015. The public is invited to attend a festive opening reception with the artists on Friday, April 24th from 5-7 pm. Refreshments will be served. In their first collaborative theme-based exhibit since 2004, artists Judy and Warner Nienow investigate the visual variations rain creates on city surfaces in “Wet World”, whether it be drizzle or downpour, Manhattan or Paris. The challenge was to set aside high contrast, sharp edges and bright colors for the alluring mystery of muted day tones or a thousand wet reflective surfaces on a city street at night. From a Gothic church facade in a German village to a rack of children’s rain boots; from reflective State Street puddles to iconic buildings glimpsed through diamond-like raindrops on windows; and from dueling images of the Louvre on a rainy morning, each artist strives to bring a unique, individual style to their offerings in the 27 painting exhibition. A native of Santa Barbara, Judy Nienow holds a B.A. and M.A. in English Literature from UCSB. 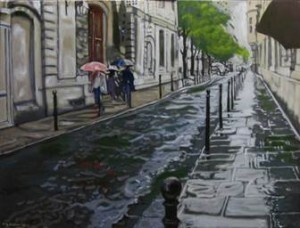 As a visual artist, she is primarily self-taught since childhood. Her paintings are divided between Urban Landscapes and Agitated Still Lifes, and she explains, “both allow for provocative exploration of behavioral narratives which have recently unfolded or are about to occur.” Her surrealist art was displayed in the Williamsburg Art and Historical Center in Brooklyn, N.Y. Both artists have shown their paintings in France at the Chateau des Reaux in the Loire Valley and at The American Art Gallery in Deauville, Normandy, as well as the Amsterdam Whitney Gallery in Chelsea, N.Y.
Warner Nienow is the recipient of The Arts Fund’s 2004 Individual Artist Award in painting. He regularly participates in local exhibitions, including shows at the Fielding Graduate Institute, S.B. Maritime Museum, The Arts Fund, Gallery 113 and the Faulkner Gallery. Born in Milwaukee in 1939, Nienow earned a BSEE with honors from the University of Wisconsin, and had a long, successful career as an engineer and software manager at General Motors. Warner Nienow studied painting with realist master Claude Buck from 1968-1971, and he is an active member of the S.B. Art Association and the Goleta Valley Art Association. The Architectural Foundation of Santa Barbara is proud to announce a new exhibition of prints and print collages by R. Anthony Askew entitled Prints PLUS. AFSB is delighted to welcome him back following a successful solo show in 2009. 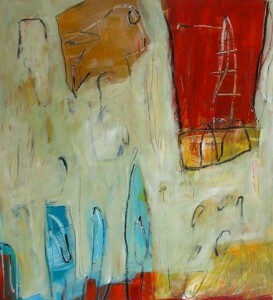 You are invited to attend a festive opening reception with the artist on Friday, March 6th from 5-7 pm. Refreshments will be served. A 1st Thursday reception will be held on April 2nd from 5-8 pm, in collaboration with Downtown Santa Barbara. Inspired by jazz improvisation techniques and Native American culture, R. Anthony Askew creates one-of-a-kind prints using rich colors, energetic lines and shapes to form lyrical non-objective compositions. While teaching at the College of Santa Fe and the Institute of American Indian Arts in New Mexico during the summers, he began exploring the monotype process. While most of Askew’s new works are viscosity monotypes, some are Chine-collé, which combines printmaking with collage as part of the initial process. As a celebrated printmaker and watercolorist, he has exhibited nationally and internationally. Askew is a Distinguished Professor Emeritus of Art, and former Director of the Reynolds Gallery at Westmont College. He received the Teacher of the Year award in the Humanities in 2000 and a distinguished professorship award in 2003 for exceptional commitment to his students. In 2014, the artist received a Lifetime Achievement in the Arts Award from The Arts Fund. Askew earned a B.A. in Art and Sociology from UCSB, and holds a Master’s in Printmaking from Cal State University, Los Angeles. He attended the Otis-Parsons Art Institute in Los Angeles, and studied at the Tyler School of Art in Rome. 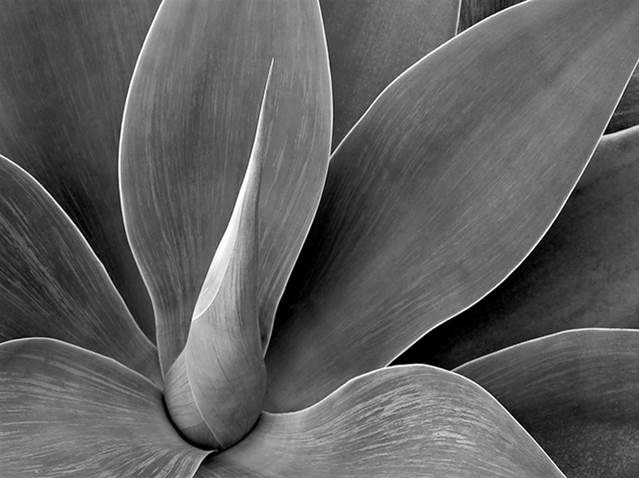 The Architectural Foundation of Santa Barbara is pleased to announce a new exhibition of photography by Jeffrey Sipress, entitled “BLACK & WHITE and a Little Red”. The public is invited to attend a festive opening reception with the artist on Friday, January 16 from 5-7 pm. Refreshments will be served. The exhibition will continue through February 27, 2015. Jeffrey Sipress returns to AFSB after a successful solo show in 2007. Recognized for his dramatic landscape compositions, he often travels to remote mountains and deserts to capture unique scenes, seeking the mystical qualities of natural light for illumination. Black and white photographs and selected color images will be presented, and subjects include a variety of landscapes, historic architecture and still lifes. Jeffrey Sipress was born on Long Island, New York, and early studies in engineering led to a lifelong career in high-tech manufacturing. He began taking photographs with a 35 mm camera in 1975, drawing inspiration from Ansel Adams, Elliot Porter, and David Muench. Over the years Sipress mastered the large-format 4×5 film camera as well as digital photography and printing, using his technical skills to portray his artistic vision. His images appear in magazines and guidebooks, and he actively participates in regional fine art exhibitions. The Architectural Foundation of Santa Barbara is pleased to announce a new exhibition of distinctive photographs by Sara Yerkes, entitled Artifacts: tota pulcra es. You are invited to attend a festive opening reception with the artist on Friday, October 17, from 5-7 pm. A 1st Thursday reception will also be held on November 6 from 5-8 pm, in collaboration with Downtown Santa Barbara. Refreshments will be served. A photographic artist and art historian, Sara Yerkes combines an interest in ancient cultures with visual art expertise for this exhibition. Architectural details and historical fragments discovered during extensive travels in Italy appear in these delicate compositions. Using black and white film, she makes prints in a traditional darkroom. 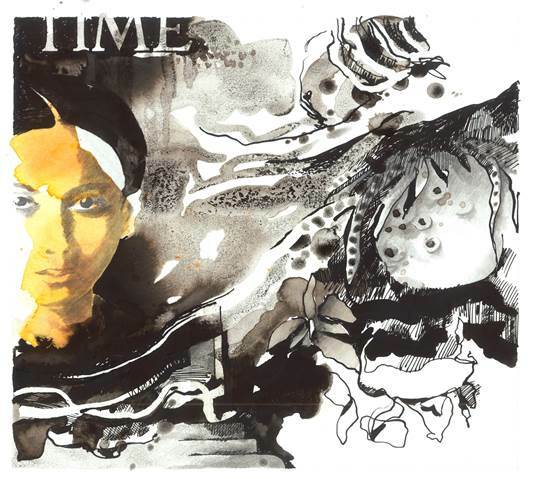 For this series, she transferred the emulsion onto watercolor paper, resulting in unique works of art. These photos should be viewed as artifacts used to reconstruct a past or foreign culture. Yerkes discovered the title image, tota pulcra es, on a wall in Rome. The text references a Latin phrase honoring the Virgin Mary. “This phrase, an artifact of an earlier time, expresses my reverence for the muted and richly variegated surfaces in Italy: completely beautiful and without blemish,” explains Yerkes. She uses a Lith process with a developer and paper that creates an earthy, warm tone with a certain amount of grittiness. These qualities correspond to the appearance of artifacts discovered after hundreds of years underground. Sara Yerkes holds an M.A. in art history, with an emphasis in Roman art, from the University of Washington, Seattle. Born in Nebraska, she earned a B.A. in Psychology and German from the University of Nebraska. The artist currently lives in Santa Barbara. 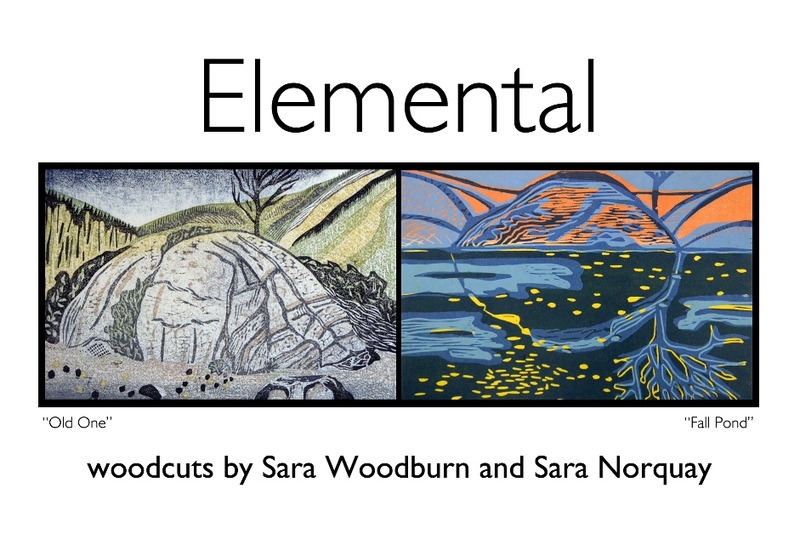 The Architectural Foundation of Santa Barbara announces a new exhibition of original woodcut prints by Sara Norquay and Sara Woodburn, entitled “Elemental.” Inspired by the four essential elements of air, water, earth and fire, these colorful compositions interpret different aspects of the natural world. You are invited to attend a festive opening reception with the artists on Friday, September 5th from 5-7 pm. Refreshments will be served. Sara Norquay has been a printmaker for more than twenty years, making monotypes, photopolymer etchings and woodcuts. She also creates handmade artist books and works with felt. After living, working and exhibiting for eighteen years in California, she moved back to Canada in 2009 and now also exhibits her work in Edmonton, Calgary, and Toronto. Sara Woodburn studied textile, graphic, and costume design at UC Davis and later studied fabric dyeing processes in Tokyo, Japan. She began a hand dyed textile and one-of-a-kind clothing business in San Francisco before earning her teaching credential in Santa Fe in 1992. Woodburn was awarded a scholarship to the Anderson Ranch Arts Center in Colorado in 2012 to work with master printer, Hiroki Morinoue, and she is currently a member of the Santa Barbara Printmakers Association. 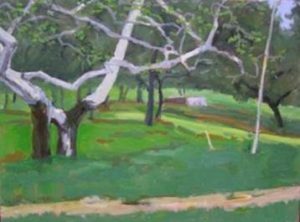 The Architectural Foundation of Santa Barbara announces a new exhibition of paintings by California plein air artist Jeremy Harper. You are invited to attend a festive opening reception with the artist on Friday, July 18th from 5-7 pm. Refreshments will be served. The solo exhibition continues through August 29, 2014. Jeremy Harper presents his luminous landscape paintings, featuring local architecture, mountains and seascapes. Born in Ojai in 1969 and raised in Santa Barbara, Harper was accepted into the Oak Group in 2009, and is increasingly recognized for his work. Continuing in the tradition of plein air painters, Harper creates compositions that convey the unique spirit inherent in natural landscapes. Subjects range from favorite Central Coast surf spots, to local architectural scenes, to the mountains that rise above our city. Harper portrays the Pacific Ocean with vibrant, shining energy, and his paintings explore the interaction between architecture and landscape. Growing up with an affinity and appreciation for the natural beauty of our coastline, he committed himself to drawing and painting from life at an early age. In the artist’s words, “Nature has always been my main inspiration. Nature is like a visual symphony of colors and shapes and rhythms all singing in harmony.” Although churches are traditionally thought of as sacred sites, “There are countless places around us that could be considered sacred, from the top of our majestic mountains down to the waves crashing on our beautiful beaches.” Harper graduated in 1994 from the San Francisco Art Institute, where he majored in painting and worked on large-scale abstract figurative compositions. He further extended his studies in China and Europe, and subsequently taught art at the New Traditions elementary school for two years. Harper is a member of the Santa Barbara Art Association, the SCAPE group, and Santa Barbara’s illustrious Oak Group. 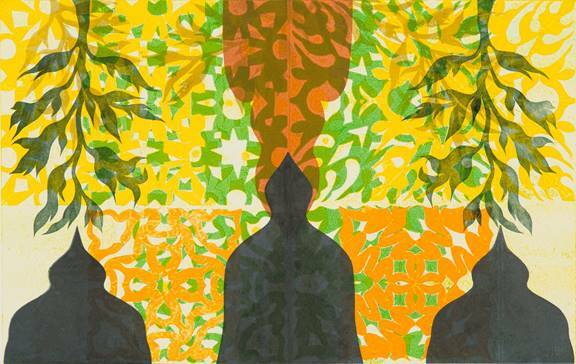 The Architectural Foundation of Santa Barbara is proud to announce a new exhibition of prints and print collages by Anna Griffin entitled Prints and Beyond. 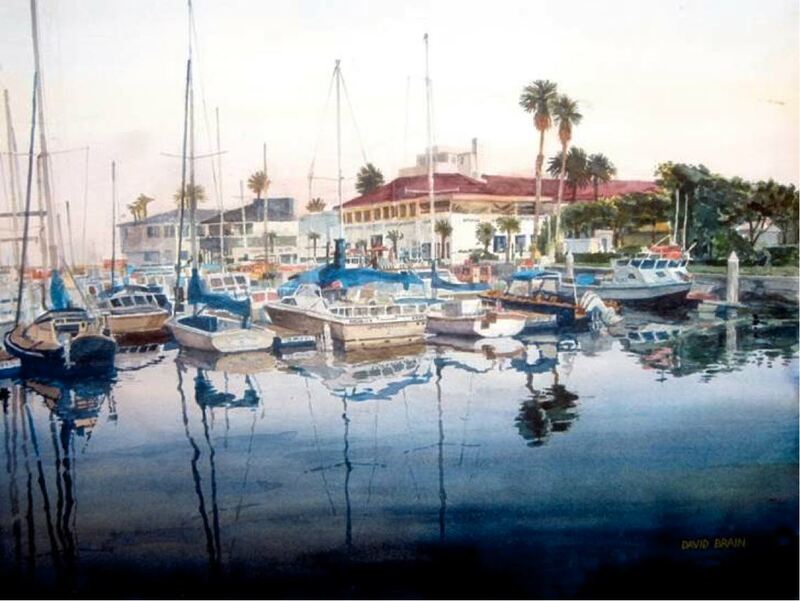 Ms. Griffin is an accomplished artist who belongs to the Santa Barbara Printmakers group. The public is invited to attend a festive opening reception with the artist on Friday, June 6th from 5-7 pm. Refreshments will be served. Anna Griffin’s art is influenced by her love of nature as well as her work as a docent at the Botanical Garden. Her prints feature both realistic and abstracted representations of botanic life. 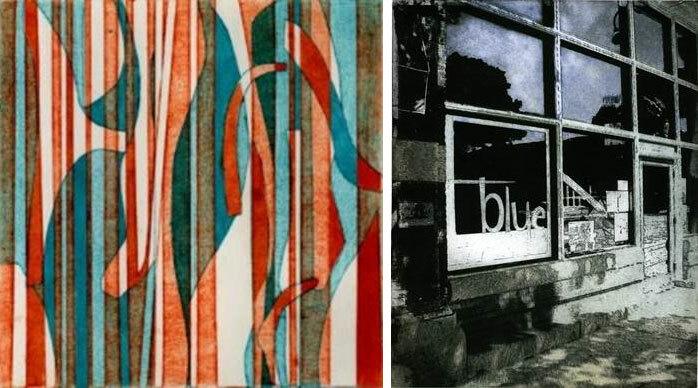 A variety of printmaking techniques including collage, woodblock, linocut and monoprint are employed by this creative artist. She initiated her printmaking career under the instruction of Toshi Yoshida, who introduced her to the ancient Japanese technique of wood block printing. After earning a BA in Applied Arts from Fresno State College, the artist continued her studies at Sonoma State College. Ms. Griffin has studied under many accomplished print-makers and artists including aqua media expert Katherine Chang Liu. She eventually joined Santa Barbara’s first Monotype Guild. Ms. Griffin’s work has been shown in numerous exhibitions including solo shows at the Ojai Arts Center and the Old Jail Gallery in Lahaina, Maui. 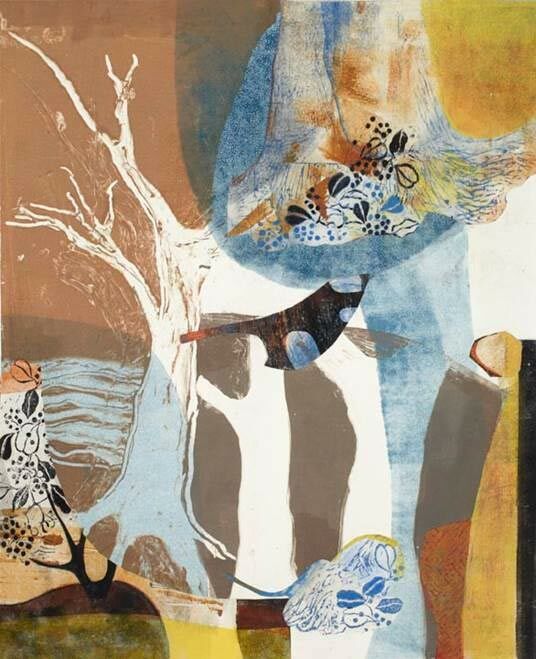 Her prints have been exhibited in many galleries, including the Ojai Printmakers Annual and the Arts Primavera, Santa Barbara Visual Arts where she was awarded “Best in Show” in 2002. The Architectural Foundation of Santa Barbara announces a new exhibition of abstract paintings by Julie Young, entitled “Vishnu and Others.” An accomplished landscape painter, Young is also a practicing Marriage and Family Therapist. You are invited to attend a festive opening reception with the artist on Friday, April 18th from 5-7 pm. Refreshments will be served. A 1st Thursday reception will be held on May 1st from 5-8 pm, in collaboration with the Santa Barbara Downtown Organization. Julie Young is originally from Ogden, Utah. After graduating with a BA in English from Utah State University, she taught junior high school for six years. She subsequently lived in Nantucket, Massachusetts where she worked as a real estate broker and an entrepreneur. She spent several winters attending the Art Students League in New York City, and was a member of the Nantucket Artists Association. After completing an MA in Counseling Psychology from Pacifica Graduate Institute, Young earned a Ph.D. in Depth Psychology from Pacifica in 2008. 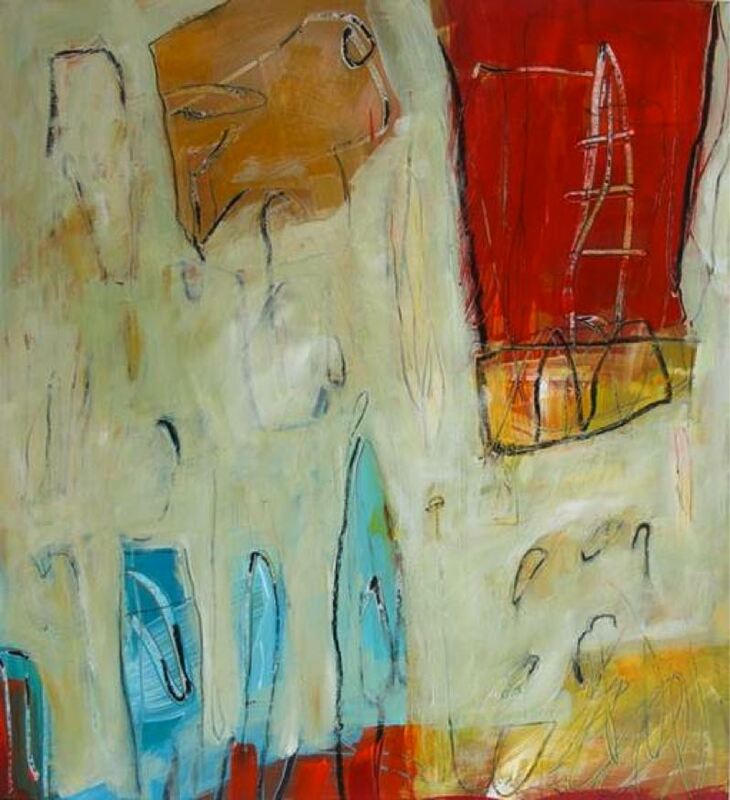 The Architectural Foundation of Santa Barbara is proud to present a new exhibition of abstract paintings by Peggy Ferris entitled “All Atwitter.” You are invited to attend a festive opening reception with the artist on Friday, March 7th from 5-7 pm. Refreshments will be served. Ferris’s new solo show, “All Atwitter,” features outward manifestations of the energetic inner vibrations of modern living. Drawn from her two recent series, Man on Street and Etherea, the abstracted forms reflect the nervous complex impulses and random sensation-driven overload from being fully engaged in modern living (Man on Street Series) and the moments of escape from this into a more contemplative daydream state (Etherea Series). Departing from her more structured work of the last 6 years, spontaneous gritty strokes disrupt free-form organic shapes in a helter-skelter interplay as the collision of psychic and earthly landscapes unfolds. 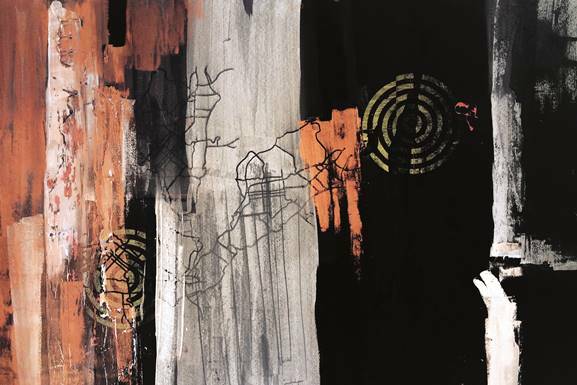 The work is executed in acrylic and mixed media on a synthetic paper called Yupo, and on canvas and panel. The artist was formally educated in art and design at the Royal Academy of Art at The Hague in Holland and at the Art Center College of Design in Pasadena. Her return to the fine arts follows a successful career as a graphic designer. Breaking free of the regimentation of graphic design, her current work is loose and spontaneous, but the designer’s eye for color and composition prevail. Ms. Ferris states, “As I paint, I seek the moment of recognition when the forms I’m creating and the inspiring impulse are in resonance.” The art of Peggy Ferris is shown throughout California, and has been featured in the Los Angeles Art Show and at the Bakersfield Museum of Art. A major retrospective of her work was held at the San Luis Obispo Museum of Art. Her work is held in public and private collections throughout the United States and Europe. The Architectural Foundation of Santa Barbara announces a new exhibition of architectural watercolors by David Brain entitled “California and China.” You are invited to attend a festive opening reception with the artist on Friday, January 17th from 5-7 pm. Refreshments will be served. An accomplished professional in the animation industry, David Brain brings his expertise with watercolors to this exhibition. Over the years Mr. Brain has worked on animation drawing, film design and story boarding, in addition to his watercolors. 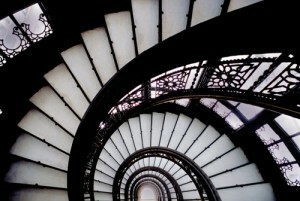 He toured China in 2007, photographing and painting sites and structures. These watercolors, including images of the ancient Great Wall of China, will be shown along with paintings of scenes around California. Expert drawing skills provide a precise foundation for these delicate watercolors, which present clarity of form and a luminescent quality of light. Lively harbor scenes with reflections on sparkling water, urban architecture and landscapes come to life with Mr. Brain’s brushstrokes. Writer Sophia Rubenstein recently interviewed the artist about his career experience as one of Disney’s first animators. David Brain’s talent for the visual arts manifested at a young age. Comic books and movie cartoons influenced the two-dimensional illustrated style of his early drawings. At age twelve he enrolled in a watercolor class with Craig Smith Jr. with whom he studied for 5 years. 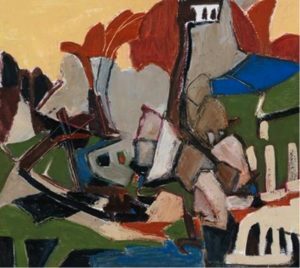 In 1963 he graduated with a BFA from the Chouinard Art Institute in Los Angeles, a professional institute that ultimately merged with Cal Arts. He entered the animation industry in 1965, working at Disney Studios on The Jungle Book. In addition to Disney, he has worked with Marvel Productions, Hanna Barbera Productions, Warner Bros., Universal Studios and Bill Melendez Productions on a variety of shows. While Mr. Brain describes his animation as “drawing movement to tell a story” he considers his watercolor painting more akin to “making a story of one place or moment.” Interestingly enough, he draws with his left hand and uses his right hand to paint. Throughout his career he has produced thousands of images with a variety of media. He has taught animation and drawing at Cal Arts, Glendale College and at Dun Laoghaire School of Design in Ireland. Currently the artist teaches animation at Woodbury University and is working on a new book about storyboarding for animation. The Architectural Foundation of Santa Barbara is proud to announce a new exhibition of architectural photographs by Santi Visalli entitled “A Walk through Urban America.” The public is invited to attend a festive opening reception with the artist on Friday, October 18 from 5-7 pm. Refreshments will be served. Join us for a special gallery talk with Santi Visalli on Friday, November 1st at 7 pm; admission will be $10 per person. Santi Visalli focuses on architectural imagery for this solo exhibition, which includes 21 color photographs. A master of traditional film techniques, the artist produced his own digital prints from film. For more than 40 years, this award-winning photographer traveled the globe as a news photographer and photojournalist for some of the world’s leading magazines, newspapers and book publishers. He has been acclaimed for the range, precision and poetry of his fine art photography. City skylines, famous buildings and significant architectural details from U.S. cities including Chicago, Boston, San Francisco, Los Angeles, Miami, New York City, Washington D.C., Las Vegas and our own Santa Barbara will be presented. Visalli captures the essence of powerful monuments in a unique way, using precise timing to record momentary lighting effects at twilight, sculpture dusted with fresh snow, or a full moon rising over an intricate tapestry of urban architecture. Unusual viewpoints of major bridges and buildings include technically difficult photographs taken from high above the ground. In the words of Santi Visalli, “A responsible architect creates a good environment for humanity. In this walk through urban America, with the proper light and the right lens, stone comes to life.” Buildings designed by top architects are portrayed, including Charles Bulfinch, Louis Sullivan, H.H. Richardson, Frank Lloyd Wright, Ludwig Mies van der Rohe, Richard Neutra, Charles Le Corbusier, Alvar Aalto, I.M. Pei, Helmut Jahn, Michael Graves, Eric Owen Moss, and Frank O. Gehry. Santi Visalli has been recognized with numerous awards throughout his long, successful international career. Born in Messina, Sicily, he came to the United States in 1959. Until 1998 he was based in New York, where he worked as a freelance photojournalist and was associated for many years with Italy’s largest photo agency, Publifoto of Milan. He currently resides in Santa Barbara and is represented worldwide by Getty Images.